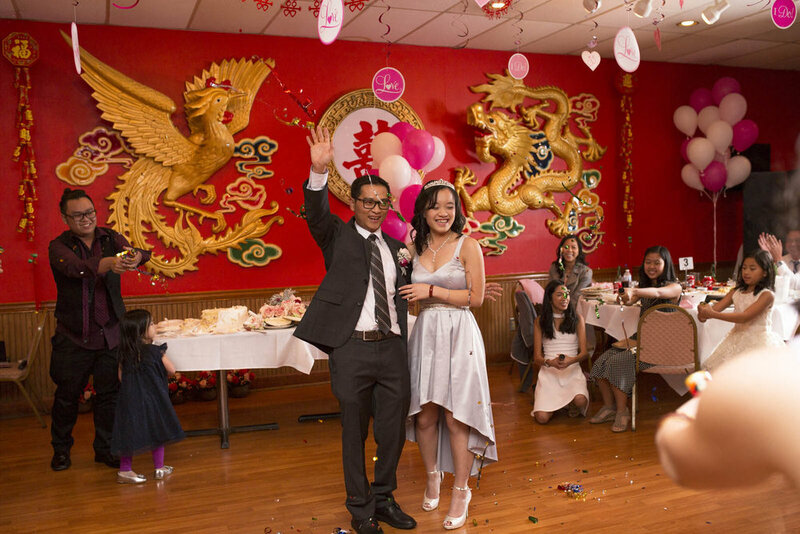 Thanh and Linh were such a wonderful couple to work with before, during and after the wedding. 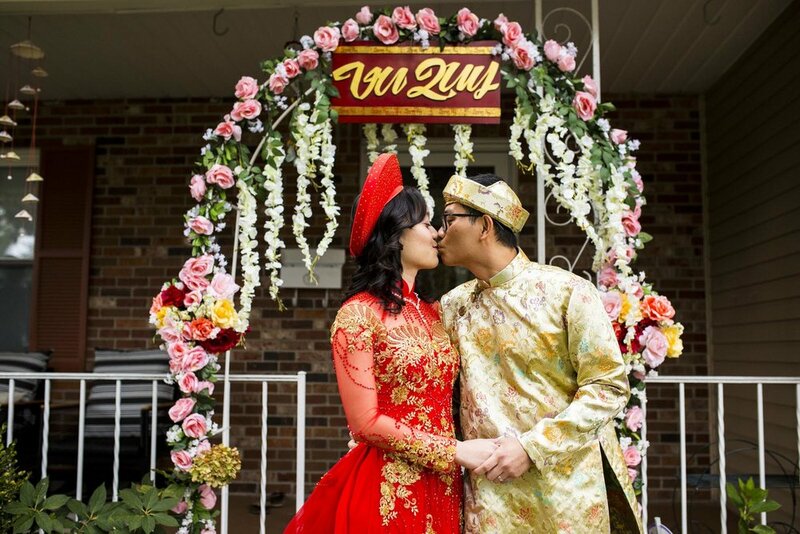 Linh was very calm & happy, while Thanh was full of energy and visibly excited on his wedding day. After the traditional Vietnamese ceremony taking place at the bride’s house, we went to Thanh’s parents house to have another mini ceremony as well as have lunch. It was beautiful and simple. Thanh made sure I ate and had me sit with some of his family members, who were very welcoming. It’s always has been such an honor and pleasure when one of my clients invite me to join in on the revelry and converse with their family. Everyone was very accommodating and Thanh made sure everyone had food on their plate and beverages. On his wedding day. Afterwords Thanh, Linh, and I headed over to Inniswoods where it gave them some time to breath. Thanh kept making his love laugh at Inniswoods and when Thanh was being too energetic, Linh was there to calm him down. I let them be for a while and took pictures of just that, while having them pose to a certain extent. After an hour and a half of them modeling, we headed over to the reception that was taking place in the Sunflower Chinese restaurant off Sawmill Rd. We took pictures of the guests that were coming in (albeit a bit late) and then dinner began.